I’m a novice to pulled pork, but after trying it after it was smoked for about 16 hours at a friend’s BBQ cook off, I’m looking to get repeat the experience as often as possible! 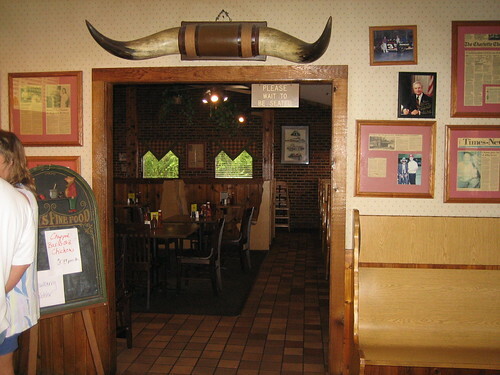 I ordered a chopped BBQ sandwich with slaw and a little apple turnover. 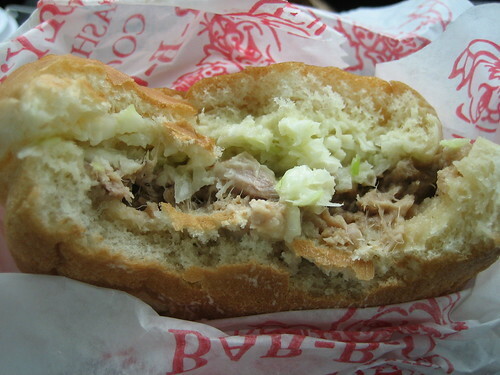 The slaw and pork were a tasty combo, with sweet and sour vinegar twang. I would have preferred a little less sauce and some more smoky flavor, but I’d like to try the pork on it’s own, unencumbered by slaw to get a better idea. 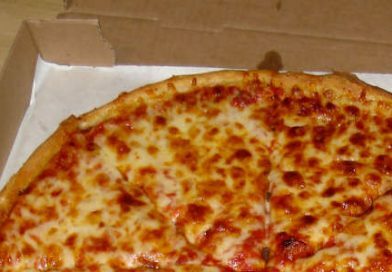 In any case, the food was yummy, cheap and super fast to come out. The turnover was a nice way to finish it off. We’d definitely stop back. 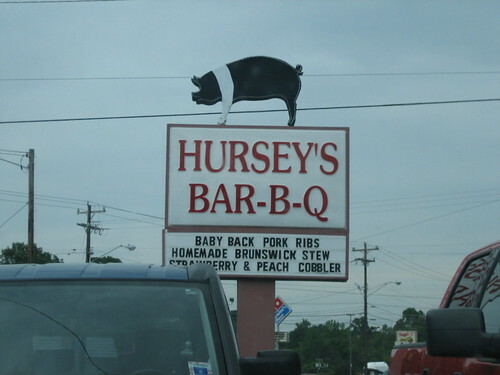 Plus, Hursey’s is on the North Carolina historic BBQ trail!